M is a black metal album at heart, haunting and evocative. This one is going to cause some consternation amongst the corpse-painted rank and file of black metal fandom. In suburbs across the world enraged, blood curdling shrieks of, “This doesn't sound like Darkthrone!” will echo up from basements and locked bedrooms. Mom will tell them to stop making such a racket down there, but the angry back metalers will pay no attention, because they are right. Myrkur doesn’t sound like Darkthrone. What does she sound like? A little bit like Loreena McKennitt. She occasionally channels Ulver’s masterpiece Bergtatt, which should come as no huge shock with Ulver mastermind Garm producing. There is also some Dead Can Dance floating around in there, as well as fellow gothy black metal hybridizers Alcest. Myrkur’s debut full length is easy on the ears. It is atmospheric, nuanced, and contains lots of nice melody. When the harsh parts really kick off, they are pretty nasty and satisfying. Myrkur screams like a wolverine, although her harsh vocals feel a little bit too effects-laden. The point remains, however, that M does not sound very much like Darkthrone and that is going to make some people unhappy. Part of what the abovementioned young men in their mom’s basements will not be able to forgive is the simple fact that Myrkur is a woman. They might let that slide if she was just the vocalist and she was backed up by a cadre of longhaired Viking-looking dudes, but Myrkur is a one-woman band. The corpse-painted basement kids don’t even let girls into their World of Warcraft raiding parties, let alone their black metal. As Robert Walser, among others, has noted, metal has always been about masculine power fantasies. The problems of gender and sexuality can be escaped by simply pretending that women don’t exist and abiding in a world of homosocial adventure. Myrkur throws this problematic fantasy into question. Those who love hearing a female voice screech, wail, and praise the old gods will enjoy every second of it. Those who are uncomfortable with women in black metal will have a hard time coping. There is also the potentially troublesome fact that Myrkur sometimes sounds like Loreena McKennitt. There are elements of Nordic folk music on M, as well as influences from shoegaze bands like Slowdive and Cocteau Twins. This occasionally adds up to Myrkur sounding vaguely new age, like something that might be playing in a shop selling healing crystals and books on astral projection. Alcest also run into this problem now and then. The listener’s specific tolerance for this sort of tendency could decide whether or not they are into M.
It would be a shame if too many people allowed the above issues to ruin M for them, because it is a pretty spectacular piece of work. Black metal is changing and evolving in all sorts of directions right now and this fact will hopefully win the genre new fans. 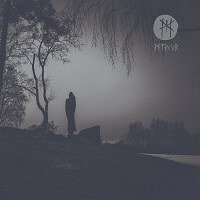 M is a black metal album at heart, haunting and evocative. It is also quite accessible and melodic. People hearing Myrkur as their introduction to the genre might very well have a black metal epiphany that they never would have had listening to Darkthrone, Marduk, et al. M displays gift for balancing atmosphere and songcraft that will reward numerous listens. Not all contemporary black metal needs to sound like Myrkur, but her sound is one of the ways in which black metal is growing and strengthening.